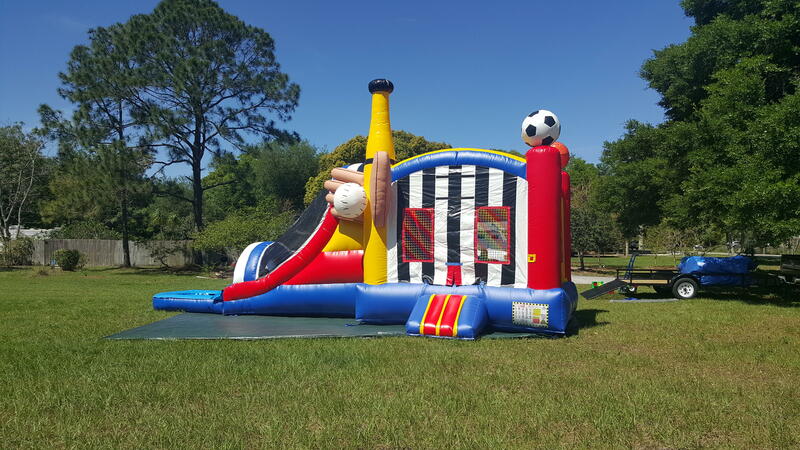 A combo bounce house is the perfect additional to any event. 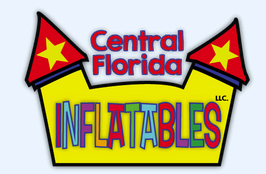 Each unique inflatable is designed to have something for everyone. Some have bouncers and slides, while others have bouncers and climbers. Some even have everything! 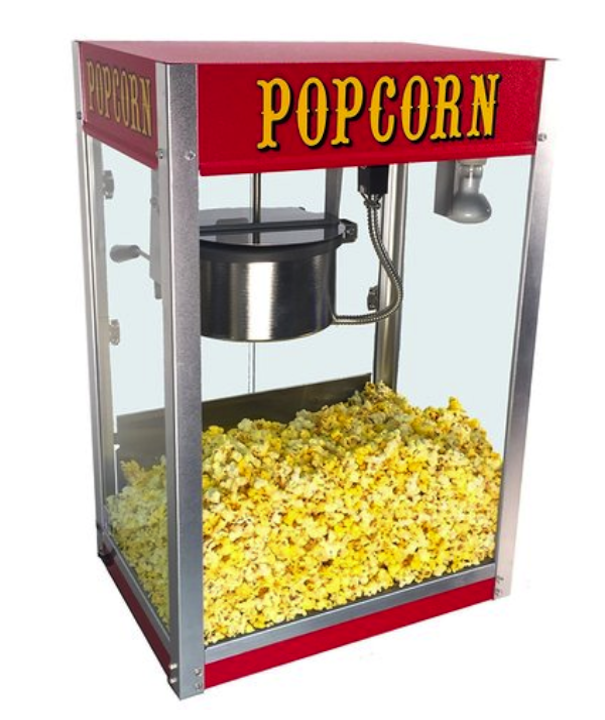 Take a look through our inventory and see which bouncer will be perfect for your event. You can almost hear it coming down the road. 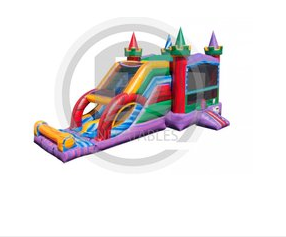 This inflatable will add excitement to any party! 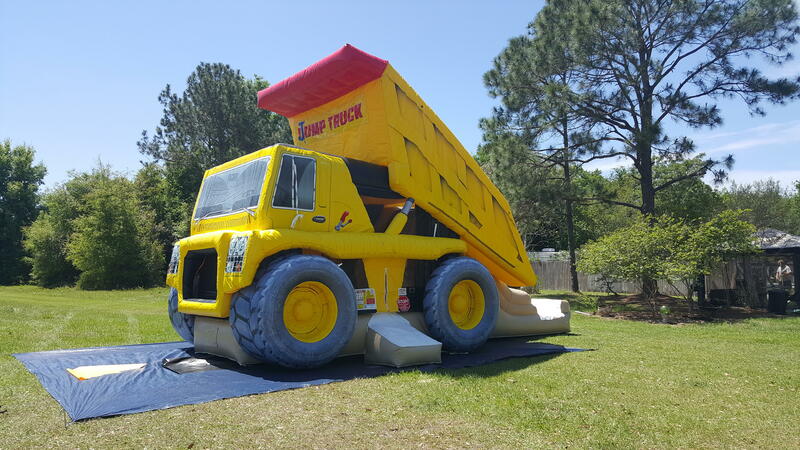 The Jump Truck has a large bouncing area, slide, and a built-in climber. 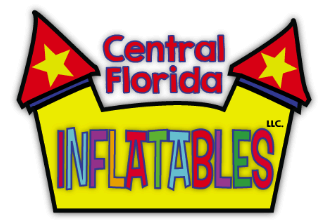 At 572 pounds, this is one of Central Florida Inflatables biggest inflatable combos. 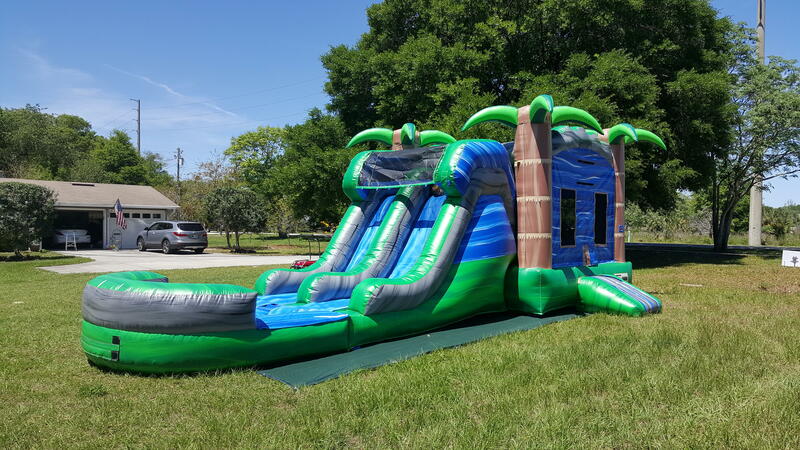 This BIG bounce house water slide combination embodies the spirit of Florida! Jump in between the palm trees and slide down into a refreshing pool of water. 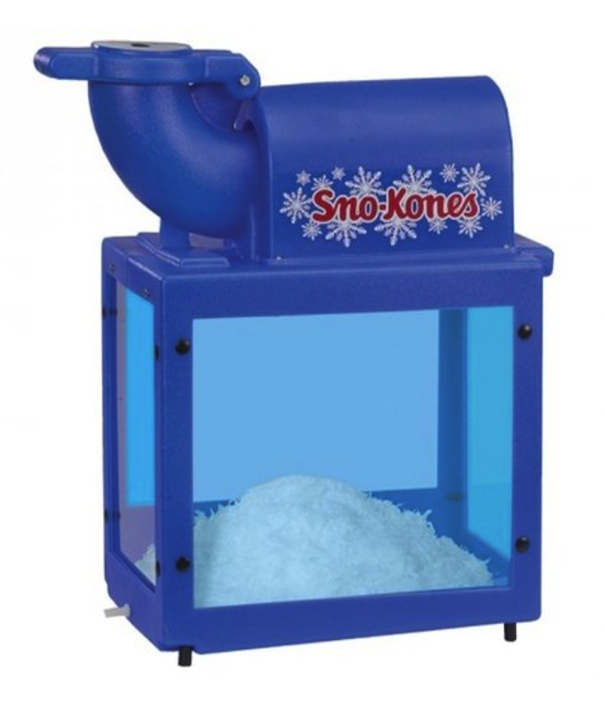 It will bring summer to your party no matter what time of year. Perfect for those for young athletes! 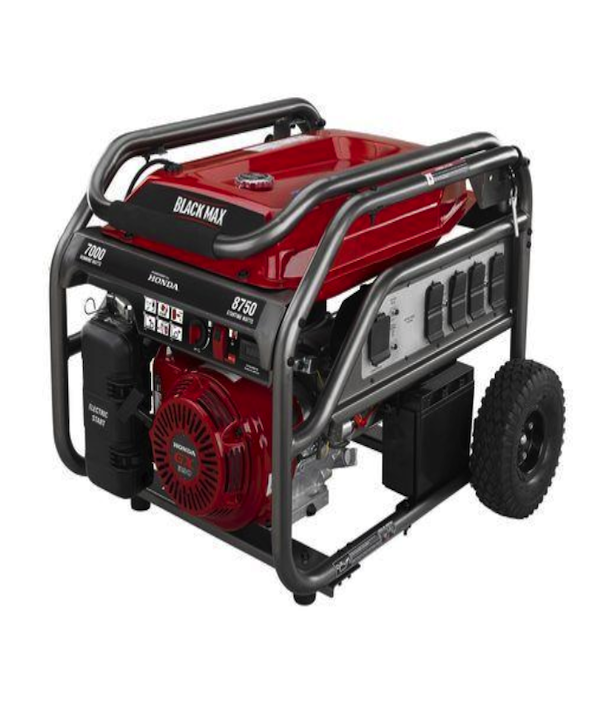 Ideal for sporting events, sports camps or after the big game. 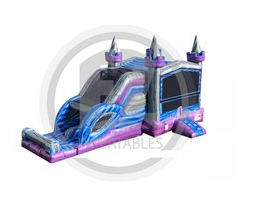 This bounce house will keep players entertained for hours on end. This castle's got something for everyone. It includes a jumper, pop-up obstacles, basketball hoop, and a wall climb that leads to a tall double lane slide. The perfect inflatable for any party. A princess' dream come true. 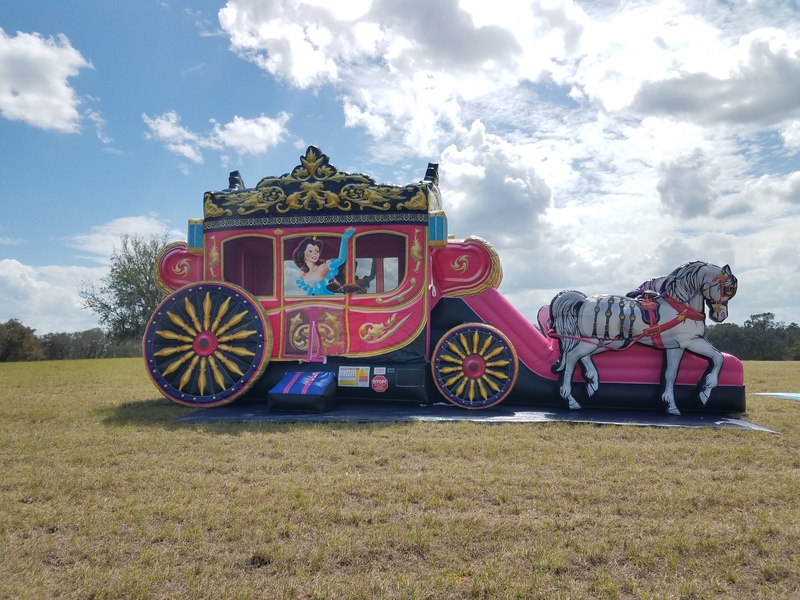 This horse-drawn Princess Carriage is fit for royalty with a bounce house and slide combo, perfect for any birthday party or special occasion. AHOY MATEY! 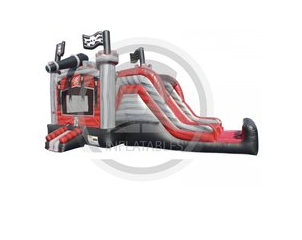 This is the perfect pirate themed combo bounce house for any swashbuckling event. This combo is so fun, you'll lose your marbles! A castle fit for royalty! Our Crystal Castle Combo will be the crown jewel of any event. 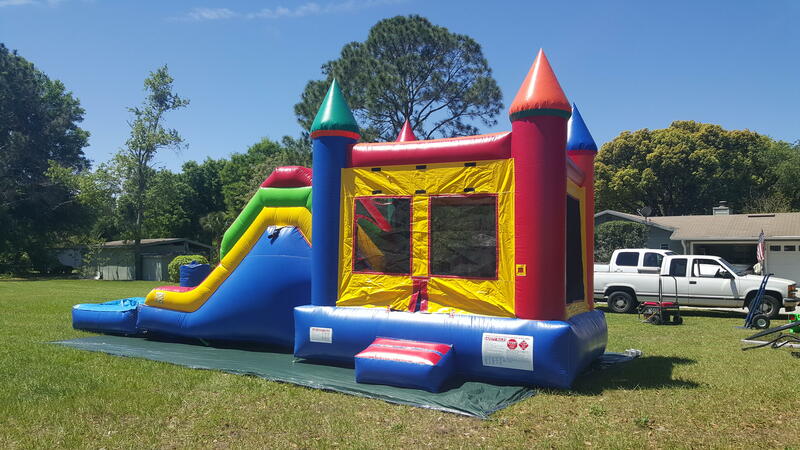 If you need help choosing from our great selection of combo inflatables, fill out the form below or give us a call at (407) 782-6245. We look forward to hearing from you!